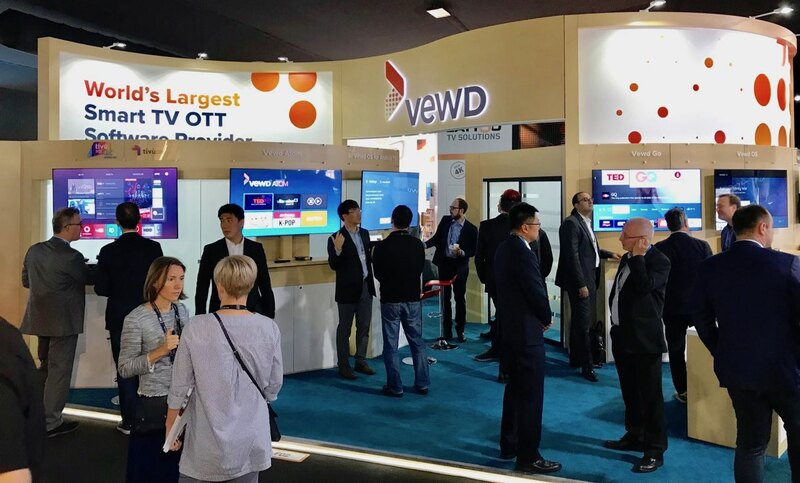 At IBC 2018, Vewd will demonstrate the power of Addressable TV, together with Google Ad Manager, S&T and Ateme. The demo shows how to replace one advertisement on linear TV, with another targeted ad delivered over IP seamlessly. The demo uses HbbTV, the leading standard for blending IP content with live broadcast, deployed in Europe, Asia, and Africa. In the demo, a full commercial break consisting of three ads in broadcast are replaced with a similar, targeted ad group streamed over MPEG DASH. The signaling of the upcoming ad break is done using events in broadcast according to HbbTV. The other prominent standard for merging linear broadcast and IP is ATSC 3.0. It’s in trials now in the U.S. and South Korea. The two standards handle content substitution differently, and we wrote a white paper explaining the differences. If you want to catch the ad replacement demo, come visit us at Booth 14.F02, or visit Google Ad Manager in Booth 14.E02.